For most people, home is the most safest place on Earth. And the purpose of a lock is to feel that they’re protected in their home. 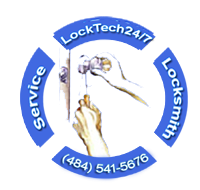 LockTech24/7 is one of the leading locksmith company in Easton PA. We offer 24-7 residential locksmiths to come to your aid, any time you need us. Our residential locksmiths known for their expertise. And our company known for its affordable locksmith solutions. We commit to offering the best locksmith services in Easton, PA.
Our mobile residential locksmiths operate at your home, 24/7 for your convenience. As well as we offer 20 minutes response. If you are looking for a local locksmith in Easton, choosing us is making the absolutely right decision. We can handle any residential locksmith service request.From a simple house lockout, to lock re-key, or high-security system. Our goal is to provide our customers with speed coupled with high level of locksmith service, alongside outstanding customer service that second to none. At LockTech24/7, we believe this goal will get you back to us for every locksmith service, in the future. With our highly responsive customer service, we ensure that we remains in business. When it comes to protect your home, we’re your reliable choice for all your residential security needs. Our Staff is highly trained professionals, and our prices are very competitive and fair. We also use state of the art tools and machines. 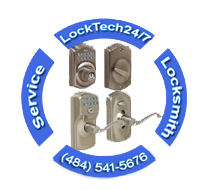 Our wide inventory makes LockTech24/7 the ultimate locksmith company for your home. Our residential locksmiths are ready for your call. Your Residential Locksmith in Easton PA.
Our company understands that every client’s needs are different from one to another. And we know that a common solution may not always be possible to solve the problem. 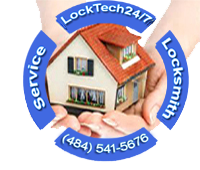 LockTech24/7 send out residential locksmiths to provide security solutions. Our techniques simply are not available through most security or other locksmith firms. We will keep out those that are not supposed to get in. Improving the security of your home is the most important services we offer, because security starts right at your front door. From physical protection to electronic detection, LockTech24/7 can do it all. We dedicated to your home security needs! From lock out service to lock repair, lock re-key, as well as lock replacement. From a free consultation to upgrade your home security, our residential locksmiths can help! We are turning complex security problems into effective solutions utilizing our knowledge, experience, and expertise. LockTech24/7 offers comprehensive residential locksmith services for customers in Easton, and throughout the Lehigh Valley, PA. In addition to our residential locksmith services, we can also install a peephole on your front door. Peephole makes sure you’re able to see who is standing behind your door. You no longer need to open your door vulnerable. You no longer need to remove your protective barrier in order to see out. Our locksmith can easily and efficiently install such a peephole on your door. It is our pleasure to provide you with that extra peace of mind to and control. In short, LockTech24/7 do more than just unlock residential doors. Call us today, and become one of our many satisfied customers. 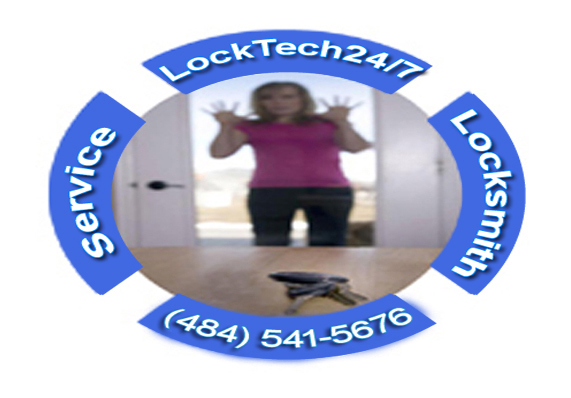 When you lock out yourself of your home, don’t get panic, LockTech24/7 is here to help! 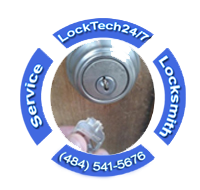 We provide 24 hour locksmith services for houses and apartments, throughout the Lehigh Valley, PA.
LockTech24/7 is a fast emergency residential lockout service around the clock, for Easton PA community, out due to a lost or broken key. We are available 24/7 for your convenience, day or night. If you have and emergency lock out situation late at night, we can help you fast. Whether you’re living in apartments building or a single home, we can get you in quick and efficient. Please program our phone number to your cellphone for future emergency lock out incident and fast lock out service. Our locksmith company expertise in emergency lock out service whether you’re locked out of your house or apartment, and whether you’re locked out of your room or a shed outside in your backyard. Don’t hesitate to Call LockTech24/7 at (484) 541-5676 and we will be right on the way to get you in. Our locksmith company offer a full locksmith service and plenty of security solution. For years now, we have been the company that our customers always know they can trust to be there when they need any type of lockout service. Our local locksmith is still the best locksmith in this region, with the best prices for lockout and locksmith service. Our reputation for excellence is unsurpassed and our availability 24/7 means we are always ready to provide a quick response to every call. Re-keying lock is a cheapest way to go when you need to change an existing key to your home. Rekeying normally refers to the ability to change the combination pins in a lock cylinder, so the old key won’t work anymore and a new key will operate the lock. If you have lost your key, moved into a new home, or just consider to have peace of mind and make assure that only you have the pssesion of the key to your home, call LockTech24/7 to rekey all the locks to prevent burglary in the near future. One of your locks is broken and the latch or the bolt are jammed in the frame. You can’t open the door, and it haven’t been used for long time. Perhaps, there is a pressure on the bolt that caused the lock to break. It might be the time to open the door, replace the lock, and align it with the frame. Our locksmiths are using high quality of parts and security hardware that will last for long time. At the top of that, you gets three months guarantee for all labor, parts, and products. The way to start on is to c all us today for a quote, we’ll be happy to talk with you and assist you with your home security concerns. Unfortunately, there are some cases when you try to open your business door, and suddenly the key breaks to half. Usually this incident can come out of no where and when you never expect it to happen. 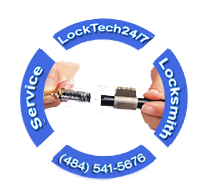 Call LockTech24/7 when you need an emergency key extraction service to remove the broken key from your lock, with special tools and creative techniques. In addition, a broken key is not always possible to remove, especially when it jammed deep inside the cylinder. and in some cases force entry should be used to enter the property. The benefit you get out of a keypad lock is to be able to enter your home without key, by typing your security code to open the lock . If you like to get into your home without a key, feel free to call LockTech24/7 for assistance. With electronic keypad lock, you can leave your keys at home, while replacing the single 9-Volt battery is often as every 2 years.